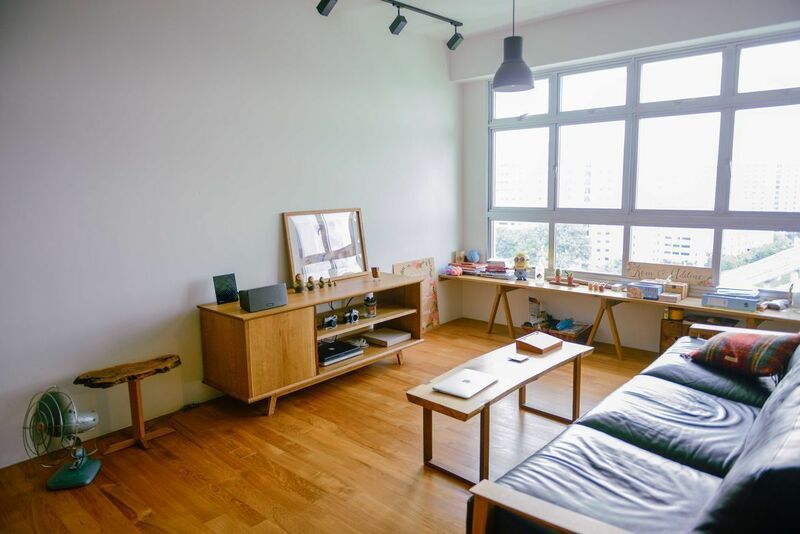 This HDB flat in Punggol is furnished with work crafted by the owner’s own hands: coffee table, chairs, credenza, even the kitchen counter. These days, a DIY home has shifted in meaning to focus less on individual hands-on work and more on directing design and construction to someone else’s hands. 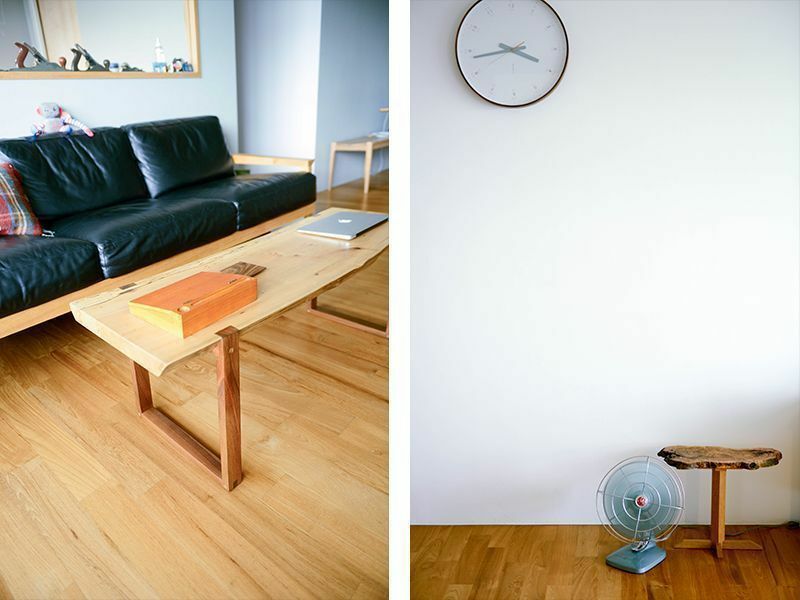 To shape one’s own living space into a place you call home―not just a house―is tedious enough, and few have the patience to delve into personally building their furniture and accessories. 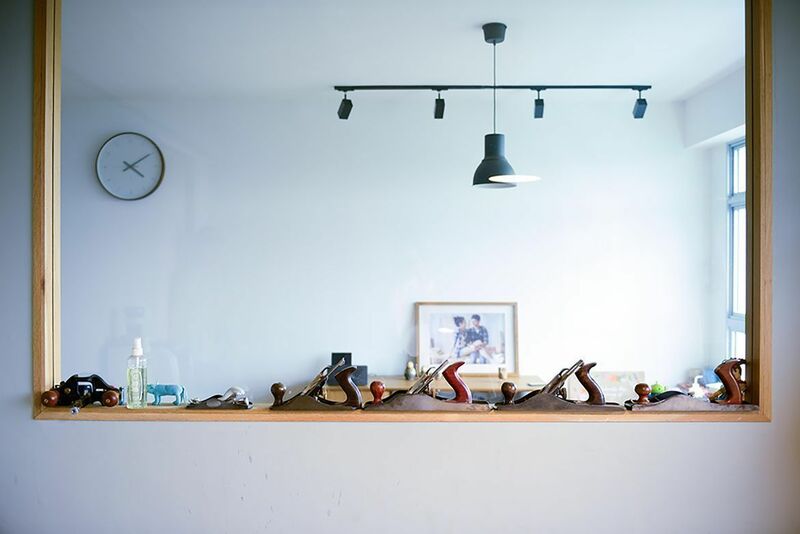 It was thus rather surreal to step into a home here in Singapore furnished with work crafted by the owner’s own hands: coffee table, chairs, credenza, even the kitchen counter. The choice of material was an easy decision: “We wanted to bring some form of nature to our home and wood is probably the nicest natural material around that ages beautifully. Apart from that, there are so many species that one can choose from depending on aesthetics and usage. 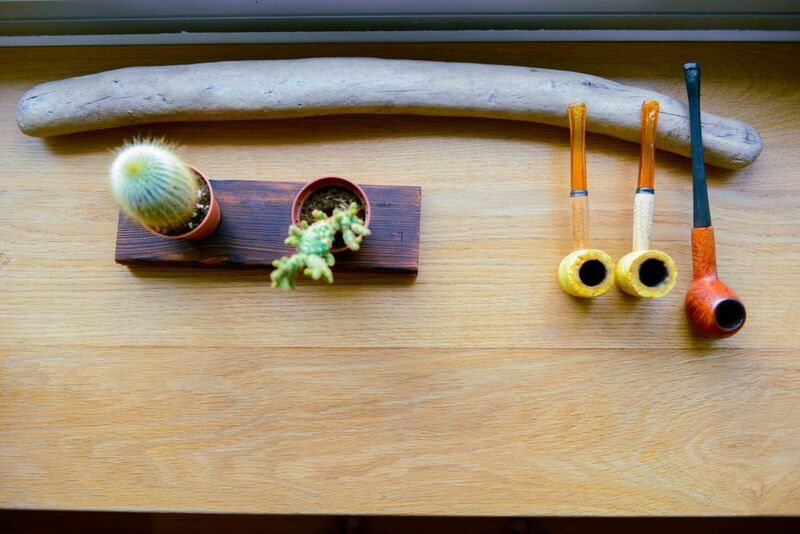 Wood also gives a very pleasing and calm effect and can greatly affect the house ambience yielding a very ‘back to my cosy home’ feel to it,” he explains. 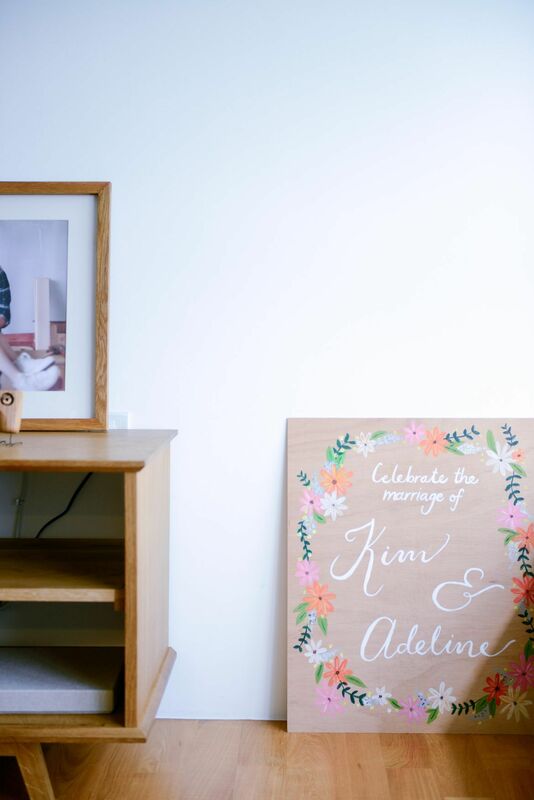 Adeline is a producer by profession, whilst Kim is now a woodworker at Shibui Furniture Collective after working as a self-taught programmer for six years. 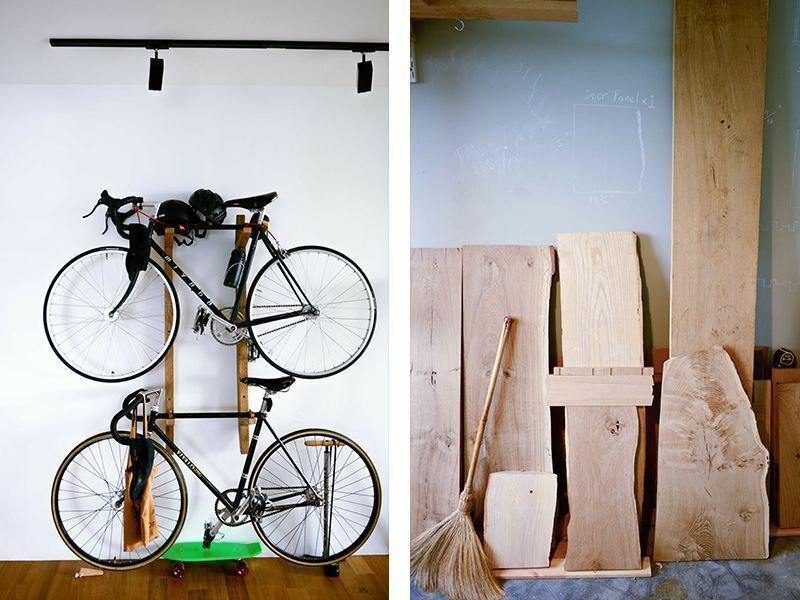 His foray into woodworking came in a moment of serendipity as he switched over from original plans to build a bicycle via metal work. The journey since has flowed organically, especially with the intricate relationships between the tools and techniques. 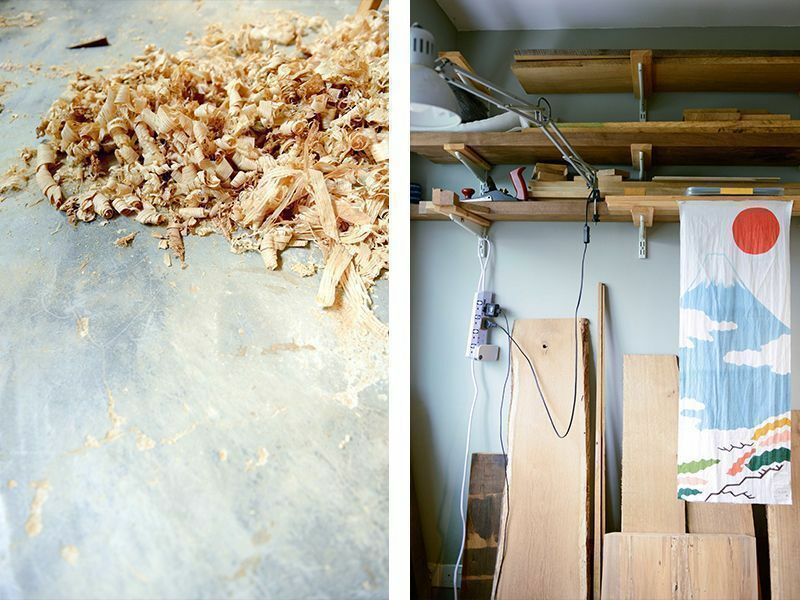 “I started off with the basics, learning how to read wood, how to use Japanese tools like their saws, planes, and chisels. During this process, doing one task might lead to another five more tasks,” Kim says. “For example, to be able to flatten a piece of wood, I had to learn how to use a plane and to use it efficiently, I had to learn how to tune it properly and learn how to sharpen the blade and that leads me to what sharpening stones I should use,” he continues. This did mean that the time taken to do up their house was greatly lengthened, for there was, after all, just one pair of hands. Each piece of furniture had to be “queued”, which in turn, helped Kim and Adeline curate the necessary pieces: “The more urgent pieces gets the priority and this naturally helped with our decorating decision. A good rule of thumb is that if we can do without a ‘want’ for more than a month, we probably don’t need it,” Kim says. 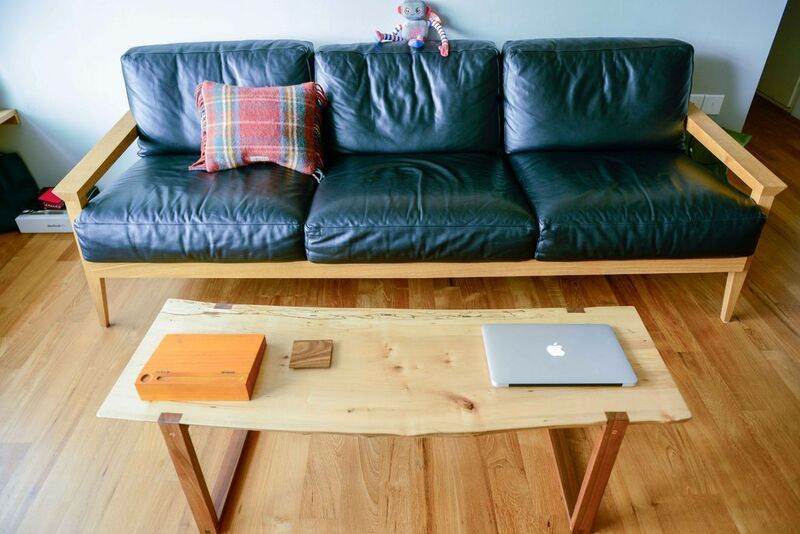 "The coffee table was the first piece of furniture that I built even before we collected our keys. 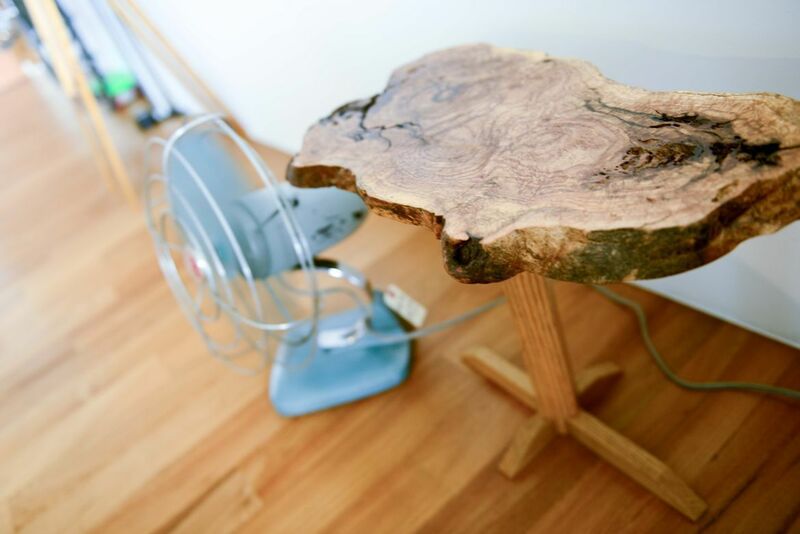 The table top is a piece of spalted maple with live edge and then accompanied with legs made from walnut. I chose walnut for the legs because I wanted a contrast and walnut with its beautiful grain balances the contrast really well." "This oak burl side table was built for my future bonsai (still looking and researching) and also an excuse to practise my joineries." "This is the bay window table, which we call low workbench: This structure was based on the sawhorses that I build and use in the workshop. 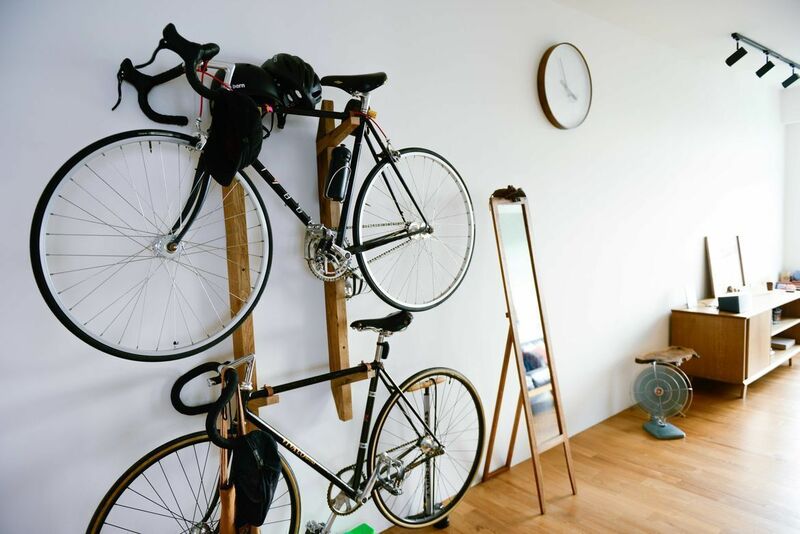 Since it was for the living room, I adapted the design to make it look less rugged (thus only half a sawhorse each) but could still provide enough support for the top." Kitchen top: "The oak kitchen top was custom made and then brought over to our home unfinished, because I wanted to have control over the finishing with a food safe finish that’s water- and stain-resistant and also easy to repair and maintain in the future. So far the oak top has been holding up very well with our usage." 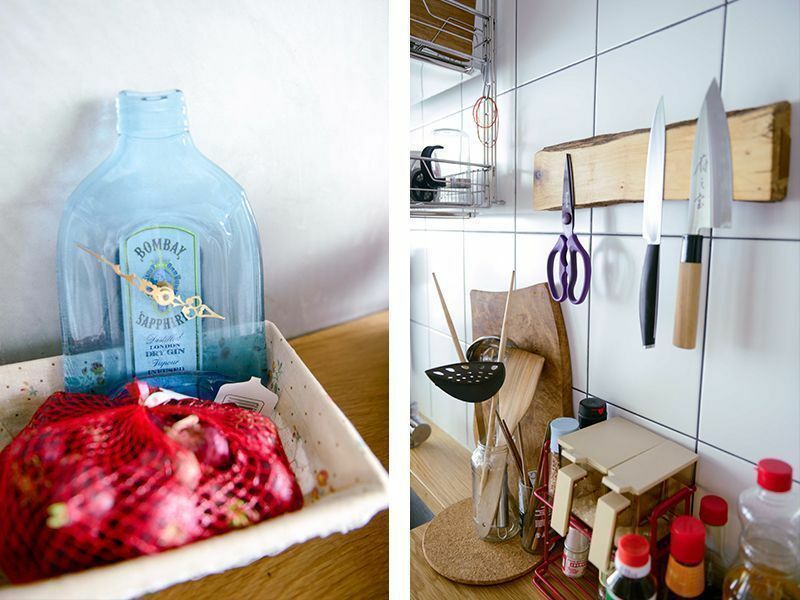 Knife holder: "Our kitchen was fully functional until we realised that our knives and scissors were all over the place. We didn’t have much space for a standing knife rack so the only solution was to have it on the wall. And so I went on to look for the nicest looking piece of maple with live edge still on for the job." Kitchen bar top: "The bar top is made from a single slab of oak held together with a pair of L brackets that I made using reclaimed barn oak. We also have a pair of mid-century high stools to complement the bar top. These were originally science lab stools from the University of Nebraska." On the mini orange oven: "We were doing grocery shopping and chanced upon a mini oven. My wife kept insisting that she wanted to buy it, but I justified that we already have a built-in oven at home and we didn’t need it. In the end, I gave in and it turns out that I use it more than she does because it consumes less electricity compared to the big one. Great for small items like nuggets, sausages, and potatoes!" On the tiny chair socks: "My wife likes cute and small items. We were at Daiso and she saw some socks for chair legs, she wanted to buy for all our chairs, but I said no because I didn’t like it. Turned out I was wrong again, I was out alone and went back to buy a set, too―but nicer looking―for my own chair. 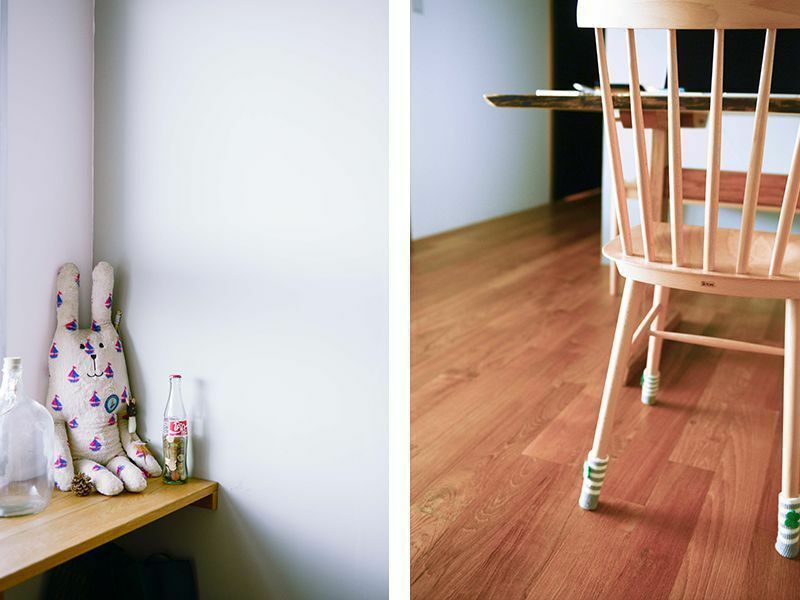 Works great so that your chairs can easily slide on our wood flooring!" Kim and Adeline were clear on not rushing their home-building process. Despite not having a specific theme or trend style-wise as reference, the couple chose to let their house take shape naturally, with slow progress based on basic renovation work on its original structure. 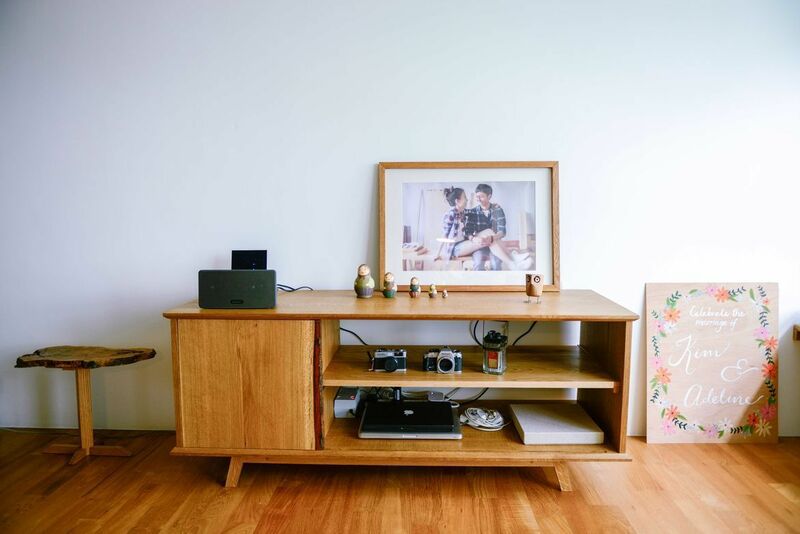 Some of their inspirations are “the houses, studios and workshops of great craftsman/designers like Finn Juhl, George Nakashima, Sam Maloof and Wharton Esherick”, which resonated with their love of crafting any part of their home themselves. The couple also based their design ideas on their needs rather than the more “cookie-cutter templates” from external sources and interior designers. 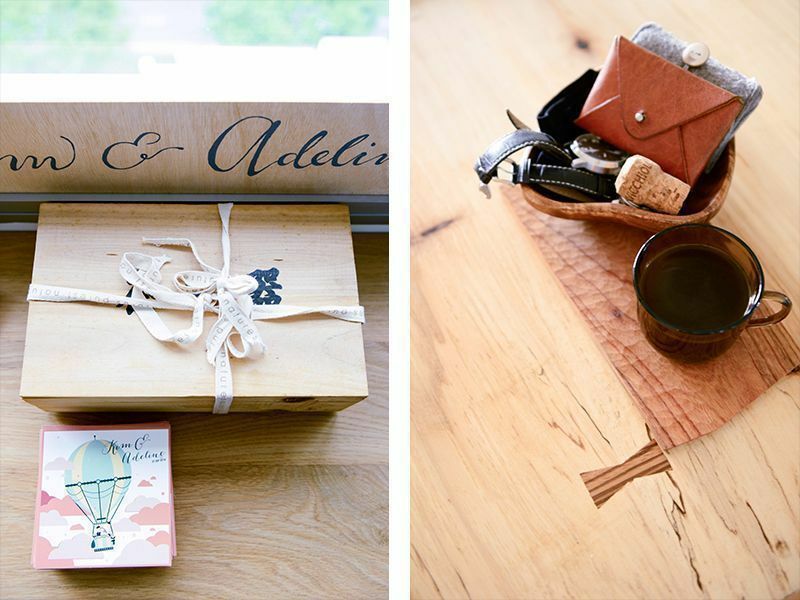 The result is a home full of personal stories and love impossible to procure by purchase. Herbs and plants will soon take their place in their service yard, so that every little space contributes to the house as an entity, for no space should feel foreign to them. After all, this is their home. We'd love to feature your home. Send us an email at hello@cromly.com. 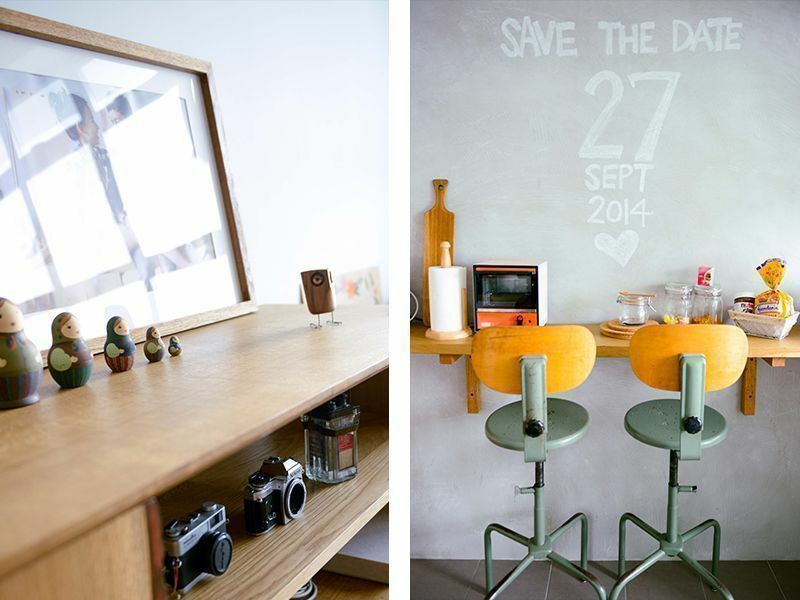 You can also check out inspiring and well-designed homes here.